You can’t miss those bright green bikes in the Elkhart. 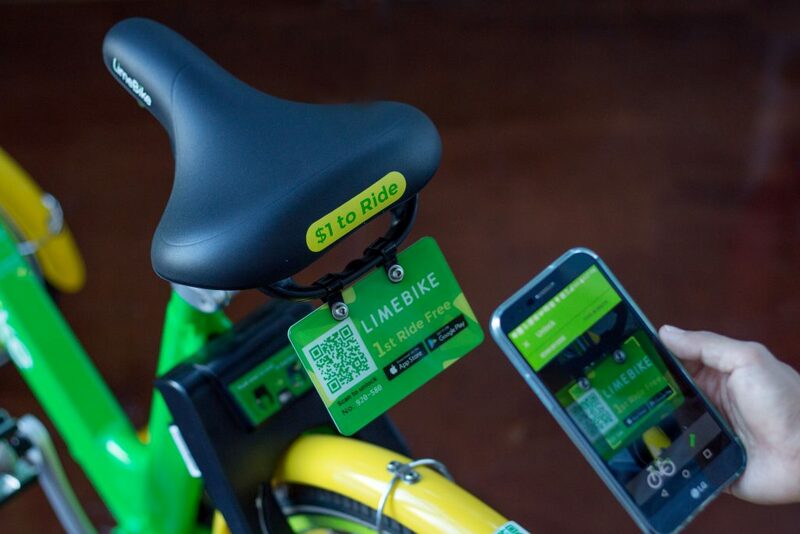 Riding a LimeBike requires an app and scanning the QR code. The bike-share service recently started offering its bikes in downtown Elkhart. 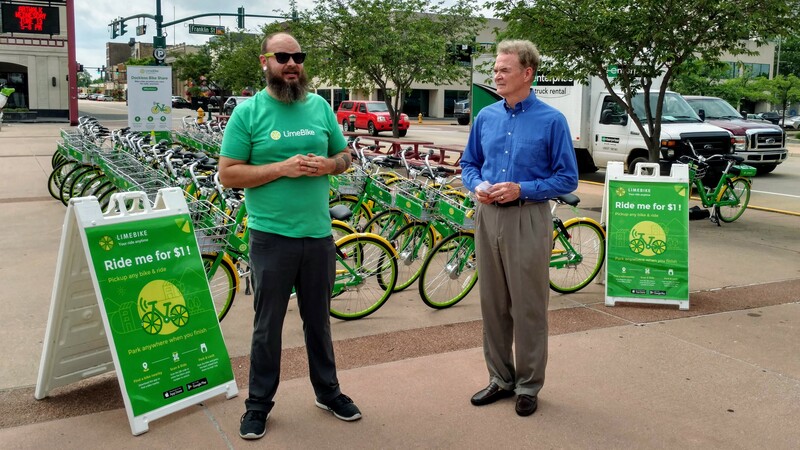 With Mayor Tim Neese and Levon Johnson, president of the Greater Elkhart Chamber of Commerce, cheering on the effort, several took their first (free) ride on a LimeBike at the launch event June 13, 2018, on the Civic Plaza. We love having these bikes around and how that is helping Elkhart County be a more bikeable community!